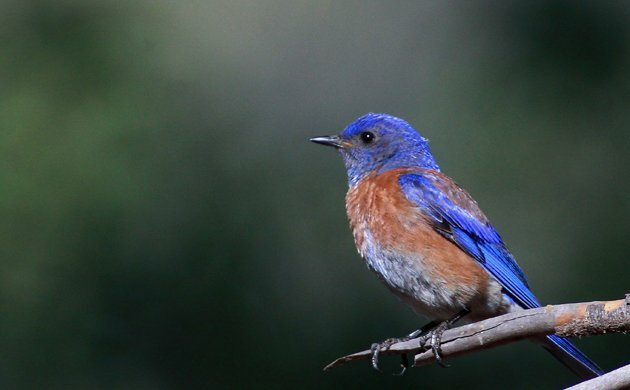 Way back in mid-June when I started my southern California sojourn I mentioned that I was inundated with Western Bluebirds. 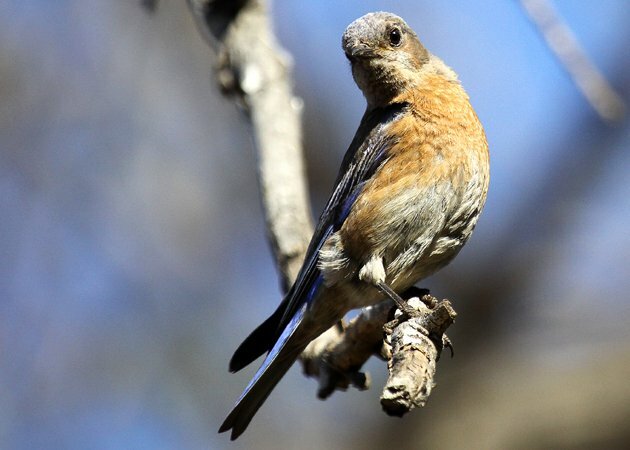 Carbon Canyon Regional Park in particular had a mob of them in the northeastern corner of the park where several nest boxes had clearly worked for the bluebirds. One afternoon I spent quite a bit of time watching and digiscoping a family group of Sialia mexicana, a great way to get to know the species better. Enjoy! This pair were my first Western Bluebirds of the trip. The male soon flew off but the female stuck around for a close-up. 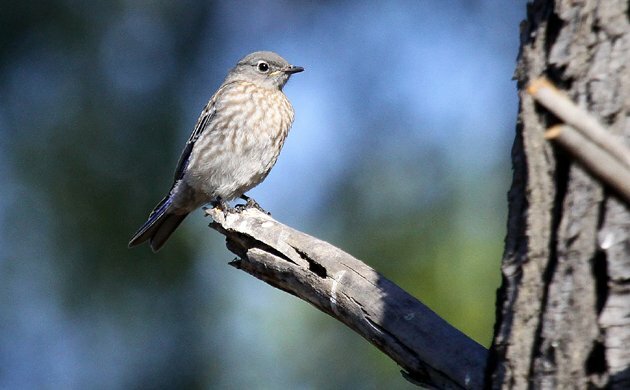 Though less colorful than the male, the female Western Bluebird is still a pretty nice bird. 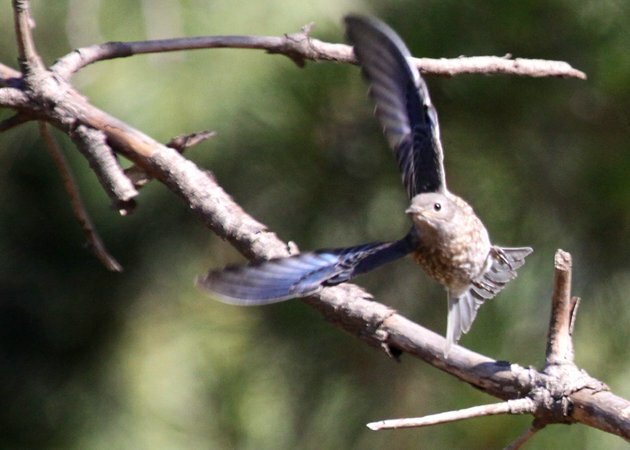 This young Western Bluebird was trying to forage a bit on its own but wasn’t very good at it. It’s a good thing dad was good at catching bugs! This perch allowed the juvenile to keep on eye on mom and dad and immediately fly to whichever parent found food first. Its sibling had the same idea. 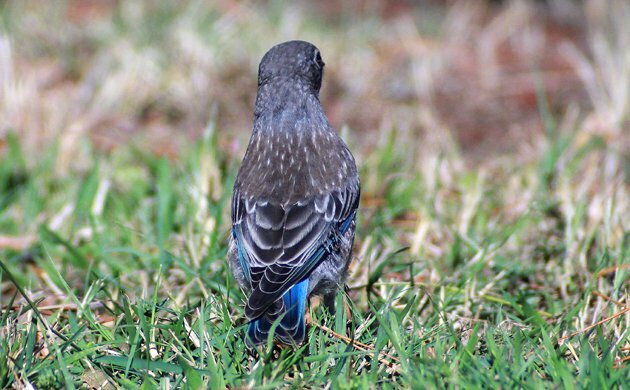 Even from the back a juvenile Western Bluebird can’t conceal its identity. 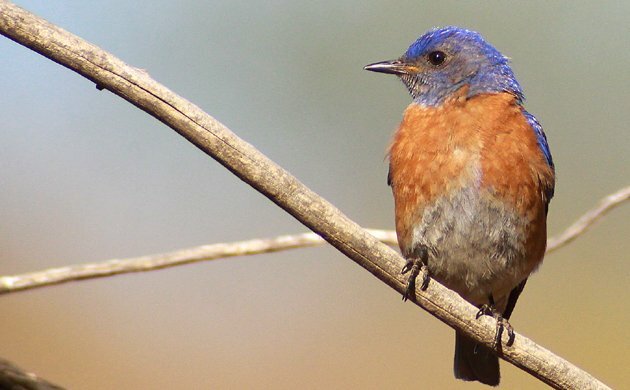 Western Bluebirds are simply spectacular! 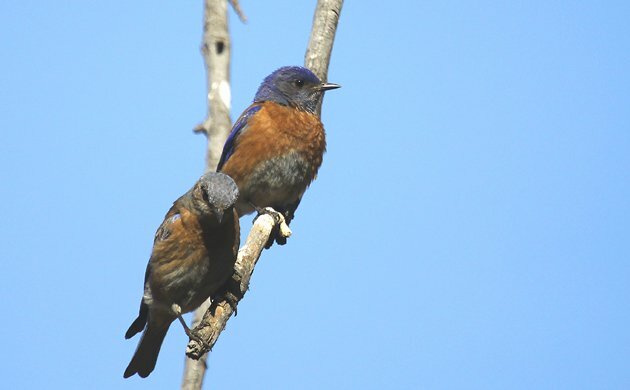 I hope you liked these shots of Western Bluebirds. If you want to see more great images of birds check out our big and growing page of photo galleries, 10,000 Clicks! Spectacular indeed Corey! The “bird that carries the sky on its back” is about as charismatic a species as you can get! Awesome photos by the way. I love that shot of the juvenile taking flight from the perch. Not easy to get with the digiscope! 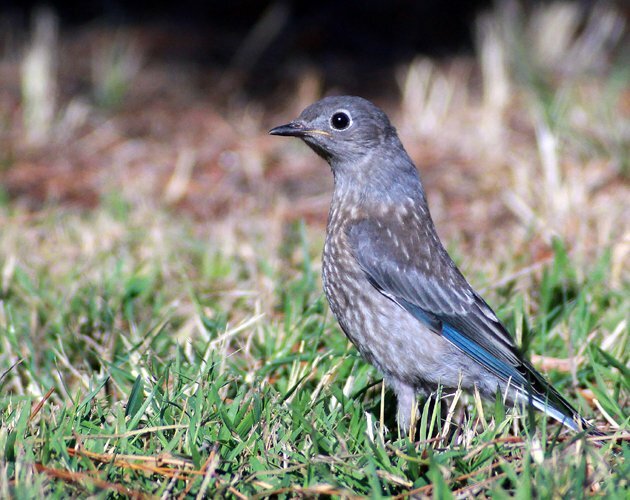 You gotta love the western bluebird! I htink they are slightly more beautiful than our eastern bluebirds. I live in SOuth Carolina and we have alot of bluebirds in my area. We have already had baby bluebirds in 4 boxes and are starting a second round in a couple of boxes now. I noticed hte maie bluebirds flying in sticks and everything to build nest. You got some beautiful pictures, especially the baby taking flight. It’s Bluebird Nesting Time Again!